INDUSTRY.co.id - Jakarta - Indosat Ooredoo successfully anticipates the increase in traffic, whether it be telephone, SMS, or Data at the high demand of communicating customers during Lebaran 2018. Since H-7 up to H + 7, Indosat Ooredoo recorded data traffic of 45% ordinary days, or 71% compared to last year. High traffic Data is dominated by the use of messaging applications, social media, and web browsing. In contrast, voice service traffic during Lebaran 2018 decreased by 9% compared with regular day traffic, or recorded 169 million minutes. Meanwhile, SMS service traffic was recorded at 165 million SMS or 2% increase compared to normal day traffic. Changes in customer communication styles that tend to use OTT (over the top) or application services such as WhatsApp, Facebook, and other similar applications, result in increased usage of 85.3% compared to normal days. Previously, Indosat Ooredoo has set up network capacity for phone, SMS and Data to ensure customers stay smooth and comfortable communicate during homecoming, celebration of Idul Fitri 1439H, and Lebaran 2018. Voting capacity is increased to 37.49 million Erlang / day, SMS capacity increased to 1.01 billion SMS / day, and Data capacity increased to 11,394 TeraByte / day. 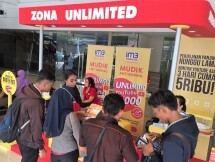 In addition to increasing network capacity, Indosat Ooredoo has also expanded its network coverage, as well as network improvement through optimization and centralization of its network to strategic locations such as homecoming routes and tourist destinations. Command Center through Indosat Ooredoo Network Operations Center (INOC) also monitor the movement of traffic usage Customer data from one city to the next and see traffic Data from the use of some applications used by customers in tourist attractions. "It has become our priority to maintain the convenience of customers in communicating, especially in the long holiday period this Lebaran. 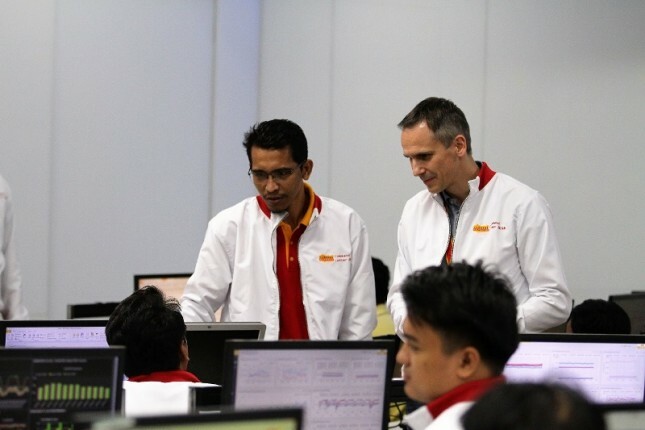 Thanks to the hard work and collaboration of the entire team, we are grateful that customers can use our services smoothly and comfortably," said Dejan Kastelic, Chief Technology and Information Officer of Indosat Ooredoo. On Lebaran Day 2018, the highest increase of traffic for voice occurred in Madura Island which recorded a 21.5% increase. While for traffic the highest increase of data occurred in Bengkulu Province with an increase of 88.26%. Cianjur City recorded the highest use of its telephone service during Lebaran of 109 thousand Erlang, and the city of Magelang recorded the most use of Data service of 185 thousand GigaByte. Solo and Yogyakarta became the main destination customers from other areas, especially from Jabotabek, where recorded arrival rate of about 9% compared to the usual day.